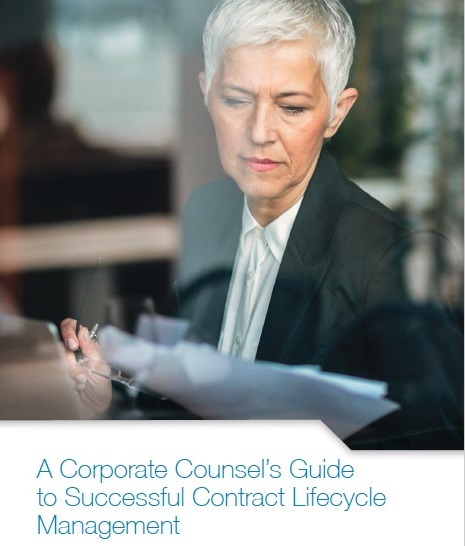 A Corporate Counsel’s Guide to Successful Contract Lifecycle Management. As a Corporate or General Counsel (GC) you play a vital – and evolving – role in your organization’s contract lifecycle management (CLM). Historically, the GC has been heavily focused on mitigating risk in the event of litigation, and while risk management is still an important aspect of contract management, GCs also have the opportunity and responsibility to contribute to the commercial success of their contracts. More and more, GCs are focusing on preventing litigation through the proper negotiation and centralized drafting of contracts and are leading the charge in the application of technology to improve contracting processes and empower the entire contract management team.